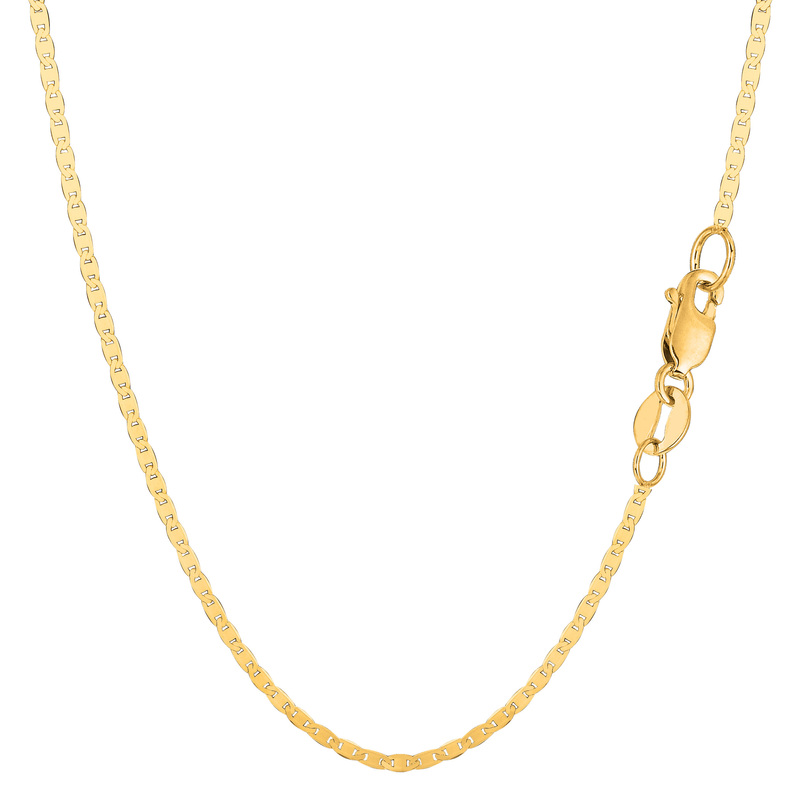 ›14k Yellow Gold Mariner Link Chain Necklace, 1.7 mm, 16"
14k Yellow Gold Mariner Link Chain Necklace, 1.7 mm, 16"
This 14k yellow gold Mariner link chain offers a modern necklace look. At a 1.7 mm thickness this chain is available in an 16" 18" 20" and 24" length. Perfect for pendants and can also be worn alone. Includes a lobster clasp to uphold strength and comfort.